Tiger Lily is an owner-operated retail jewelry shop and expert repair center welcoming you with a personal and satisfying shopping experience! Owner Colleen Shaw moved to the Hudson Valley Area in 1981 from Saratoga, NY. 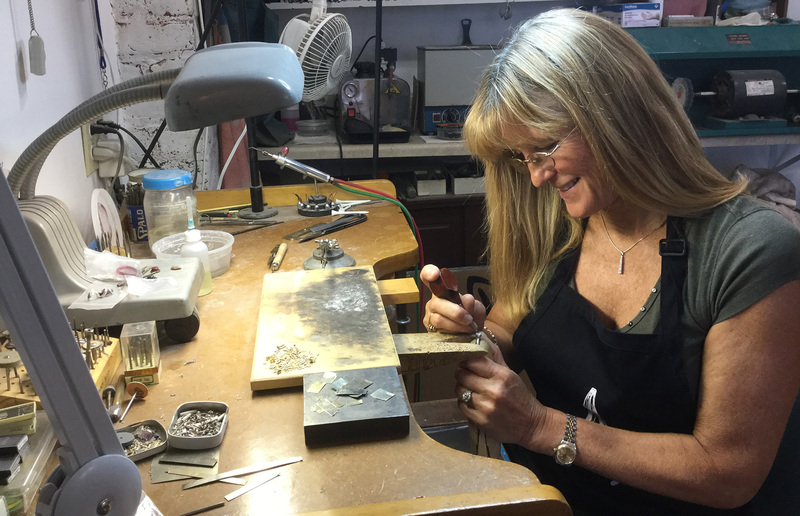 A graduate of SUNY New Paltz with a Bachelor of Fine Arts in Gold and Silver Smithing, Colleen has been a professional in the jewelry trade since 1985. Colleen originated Tiger Lily Jewelers in 2005 in New Paltz, New York. In 2011 she relocated to beautiful Windham, NY - "The Land in the Sky" - and settled into a bigger and brighter shop on Main Street in the heart of the village. Colleen and her husband Bill are active members in the community and together enjoy skiing, boating, hiking and living life in the pristine Catskill Mountains - the inspiration for many of Colleen's beautiful custom designs - Catskill Rocks.